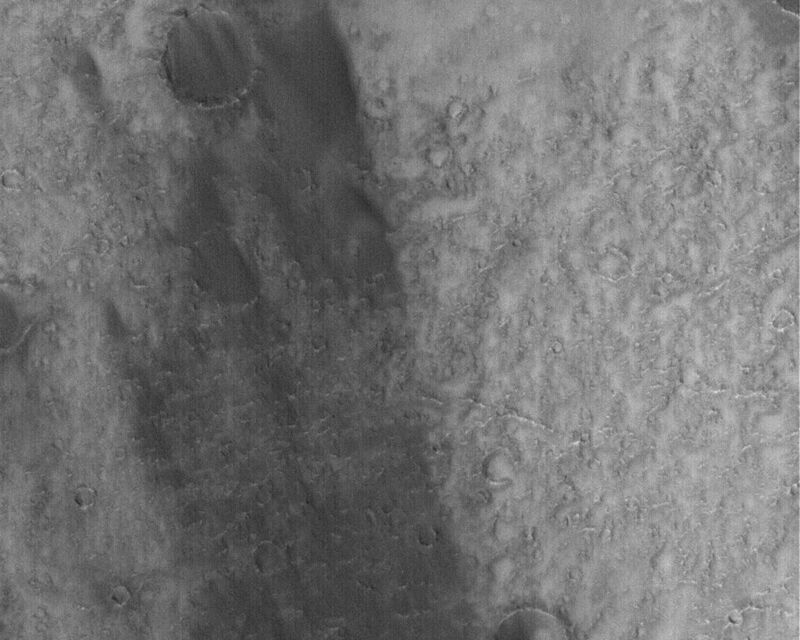 This Mars Global Surveyor (MGS) Mars Orbiter Camera (MOC) image shows the results of wind action on the floor of the giant martian impact basin, Huygens. 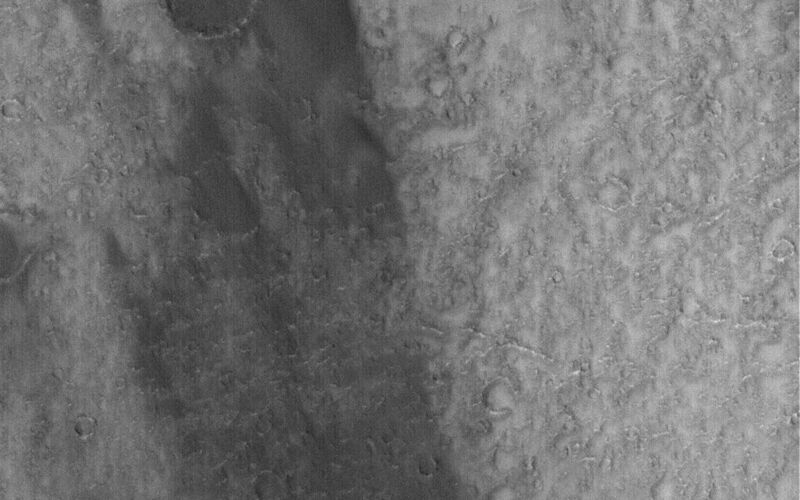 The large crater in this image has a wind streak on its lee side, pointing toward the lower right (southeast). Usually, a light-toned wind streak behind a crater on Mars will be composed of a thin veneer of dust that the wind was not able to erode because it was protected by the presence of the crater's raised rims. 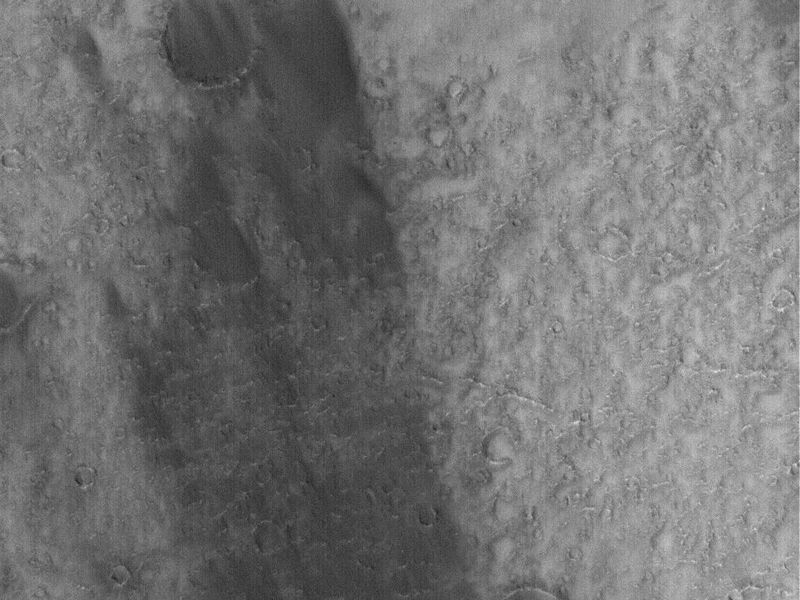 In this case, the streak is caused by something different -- by the fact that dark, windblown sand has not been able to accumulate behind the crater.